Two upcoming concerts mark the anniversary, a testament to the members' ability to hash out their differences. The musicians of the Portland String Quartet made a pact when they began playing together a half-century ago. They could say anything they wanted in rehearsal, but it had to be about the music. They came together as a side project of the Portland Symphony Orchestra. 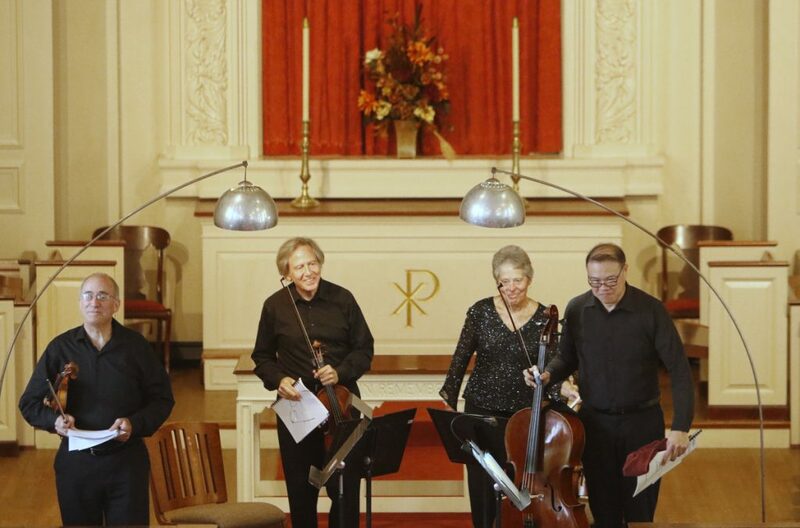 Each member – Lantz, violist Julia Adams, violinist Steve Kecskemethy and cellist Paul Ross – was a young principal musician in the orchestra, having arrived in Portland from across the country, all newly graduated from music school and eager to begin their careers. Then-PSO music director Paul Vermel, who still attends the quartet’s concerts and rehearsals, brought the quartet together to do orchestra outreach. They eventually became independent of the orchestra, and for 43 years, the ensemble performed without a member change. The first occurred only when Kecskemethy became sick and had to stop performing in 2011. Ross retired in 2015. There have been two cellists since, Patrick Owen and Andrew Mark, who joined this spring when Owen moved to Michigan. The members’ ability to get along has served the community well. Through Portland’s evolution from a working-waterfront town to a city with an international reputation for arts and culture, the quartet has grown along with it, performing high-quality classical music by Bach, Mozart and other widely recognized composers and introducing new American music, hosting camps, teaching college seminars and representing Portland in name and practice in concerts across Maine, the country and overseas. The quartet celebrates its 50th-anniversary season with two concerts this month. 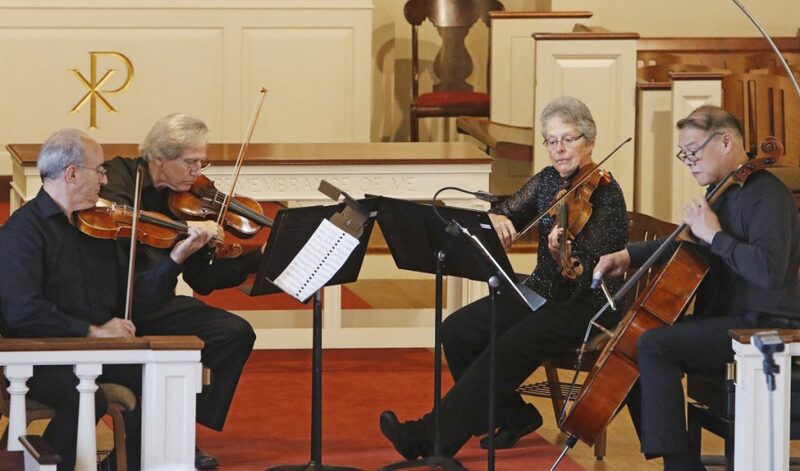 It performs a program of Bartok, Mozart and longtime favorite Johannes Brahms at 2 p.m. Sunday at Woodfords Congregational Church and will host a free solstice concert at 5:30 p.m. Dec. 21 at the Mechanics’ Hall in downtown Portland with a program that solely includes the complete Art of the Fugue by Bach. Adams considers the Dec. 21 concert a gift from the quartet to the community. “We thought, what better way to thank Portland than a free concert at the Mechanics’ Hall right in center of the city and then choose a piece of music that has a sort of spiritual presence without being religious in any way,” she said. The quartet includes violinist Dean Stein, violinist Ronald Lantz, violist Julia Adams and cellist Andrew Mark. Adams believes the quartet’s inclusive approach, where all ideas are considered and debated on their musical merits, has served it well because it has underscored differences in approach and academic training among the musicians and informed their music collectively with a sense of risk and exploration. Many quartets are formed at music conservatories, and the musicians often come from the same background. The opposite was true of the Portland String Quartet. They’ve always performed, Adams said, “on the precipice. We had an incredibly exciting mix of ideas and approaches, and we had to work through those. It was a huge advantage for us, because I think we had, and still have, a dynamic presentation and result in our music that some groups don’t have, and we’ve always had that,” she said. He has no plans to stop playing anytime. “I have no timetable. As long as it’s this much fun, somebody else is going to have to tell me it’s time to walk away,” he said. Twice already in its 50 years, the quartet has received national attention for its durability and the ability of its members to reach consistent consensus. In the early 1980s after the quartet had been together 13 years, the Harvard Business School sent a film crew to Portland to record the quartet rehearsing and then interviewed the musicians about their interactions. The quartet later performed a concert at Harvard, which also was recorded. Harvard and other business schools used the quartet to study group dynamics in a small-business setting. In 2013, Chamber Music America gave the quartet its CMAcclaim Award for its “significant impact” in the community over time. The award recognized the quartet’s longevity and contributions to the cultural well-being of Portland and all of Maine. Adams wants a full house when the quartet performs at the Mechanics Hall on Dec. 21. She wants to say thanks to the community for its support, and she’s also excited about performing Bach’s the Art of the Fugue. It’s a big piece of music and among the most-discussed in the history of classical music. It’s also important in the history of the quartet. The quartet performed the Art of the Fugue during its first year and recorded it in 1985. Bach died while writing the Art of the Fugue, a series of 14 fugues – one unfinished – and four canons. A fugue references a short melodic theme that is repeated and expanded on throughout the piece. Scholars believe he began working on it in 1742 and stopped without completing it in 1749. It was published in 1751 as a finished piece, with a previously written prelude standing in for the missing, unfinished ending. The Portland String Quartet will perform the piece as Bach wrote it, incomplete.